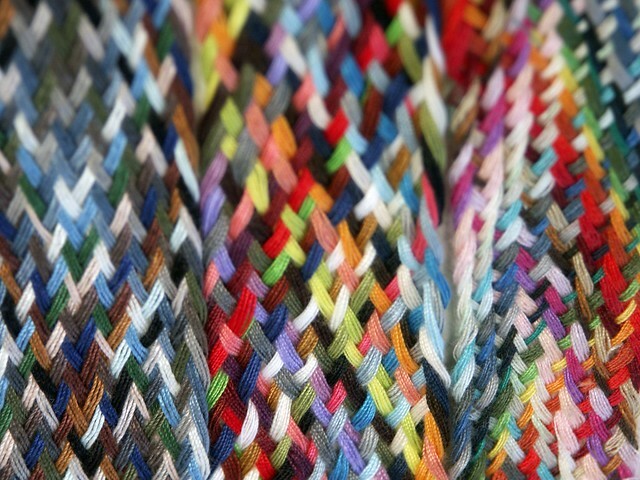 So a few months ago, during a time of solitude and healing, I wrote about one of my favorite studio supplies ~ a band of woven thread. 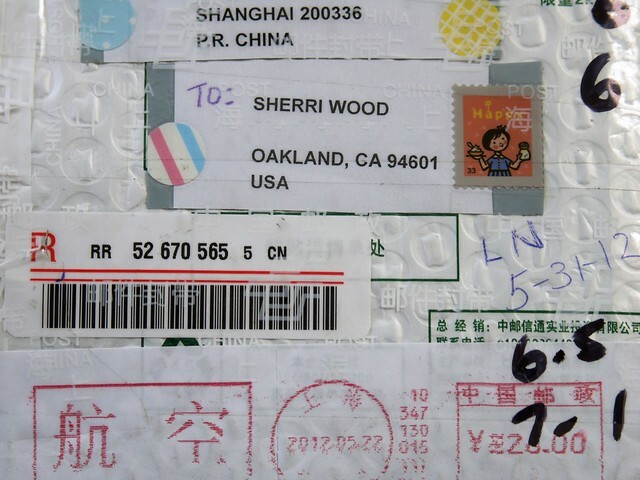 A month ago Evonne Wee, at Yarn Is Me sent me this from China! 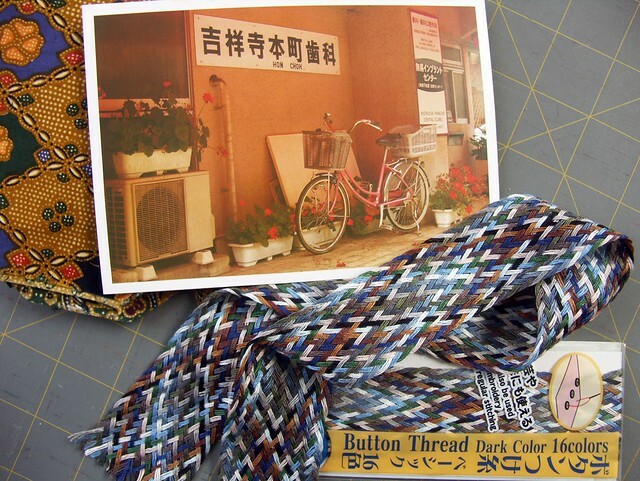 I've never even received a letter from China before, let alone a surprise package with not just one braid of thread but two. I love the feng shui of two. 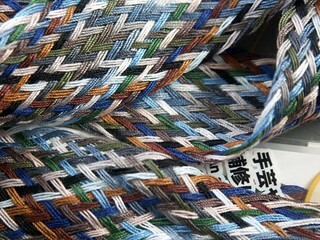 In my mind a pair of things carries the promise of relationship, companionship, and community. I've meant to write a post about Evonne's wonderful gesture and gift for a while now. 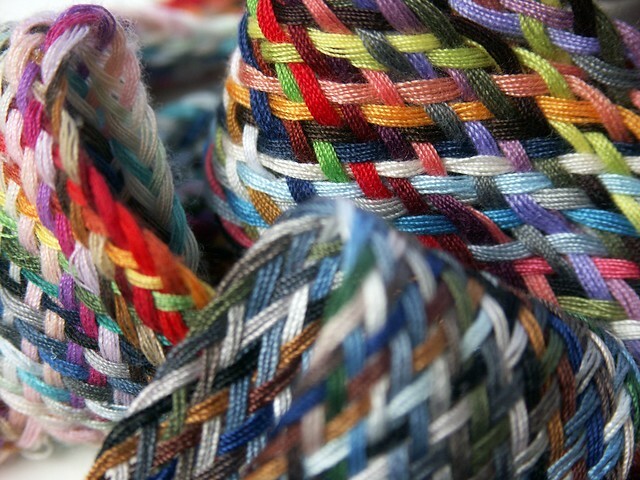 Then yesterday I received a surprise package from Canada from Heather Cameron of True Stitches! 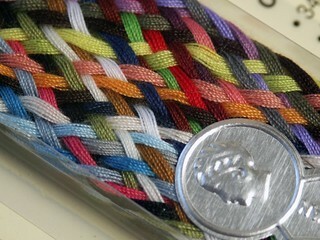 YES another pair of rainbow thread braids. How about that ~ a pair of paired gifts! What abundance! Thank you Evonne & Heather. It gives me such JOY to receive these physical manifestations of YOU, of the international, multi-colored community of bloggers that I'm a part. 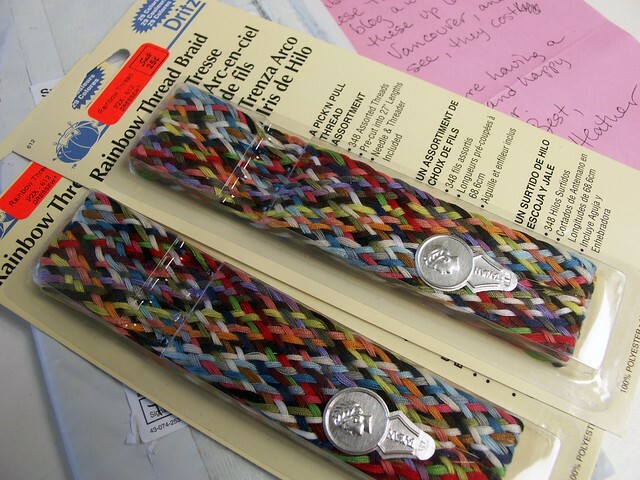 I would like to pass along the bounty of community, the warm-hearted gestures of friendship received from Heather and Evonne, by giving away one of the two thread bands they each sent to me, to two of you. To enter the giveaway comment with the city, state, country in which you live. The giveaway will be open until September 5th. I look forward to hearing from all of you!